With a range of luxury self catering accommodation now on-site and further development planned throughout 2018 Calthwaite Hall is fast becoming the Eden Valleys premier destination. From romantic weekend retreats and indulgent family getaways, to the perfect setting for your wedding, corporate event or location filming project in Cumbria. 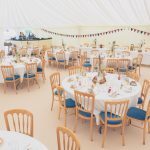 Calthwaite Hall provides a versatile venue for your wedding with capacity in our on-site marquee for up to 90 guests formally seated and 120 casually seated. For larger weddings we can offer space to hire in a larger marquee or tipi for up to 250. Whether you’re looking for a simple yet elegant civil ceremony following by Fizz and canapés in our drawing room for 20 guests, a more informal, fun tipi wedding from 50 – 250 guests, we provide a luxury venue and blank canvas to make your day happen your way. 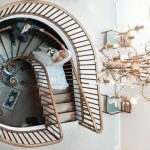 We are fully licensed for civil ceremonies, with the main hall with feature wooden spiral staircase and drawing room with grand piano and log burner being our two most popular spaces for this. Calthwaite Hall is the perfect country house wedding venue set in the picturesque Eden Valley, located just 10-minutes from junction 41 of the M6 we have perfect links for guests coming from both the north and south. 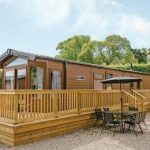 Luxury Lodges – built by Willerby Lodges and finished to a very high standard with each with individual private hot tub and deck area with generous parking for two cars. Once inside, the open plan living space gives these luxury lodges their signature style of modern sophistication. boasting contemporary furniture in rich wood tones, sumptuous curtains and upholstery fabrics together with a stunning feature electric fire and full central heating.